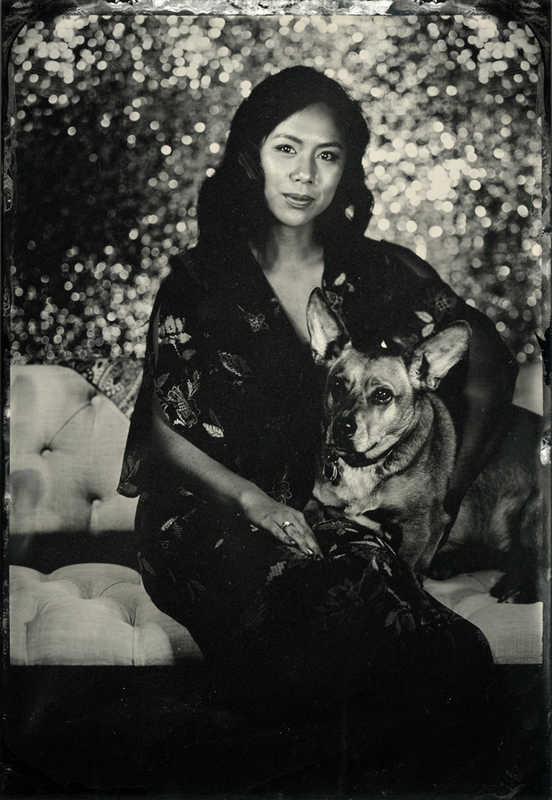 Jen Jansen brings the timeless art of tintype photos to Foxy Ed’s. Step inside Jen’s originally designed vintage photography studio and walk away with your own 4×5 plated tintype portrait. The studio will be open 5-8pm, with availability on a first come first served basis. Up to 4 fit in a photo (including dogs! ), for an exclusive price of $50. All night, back by popular demand, our pet-friendly property invites four-legged friends in for Dog Night at Foxy Ed’s. Leashes required. Jen Jansen discovered her love for photography in 2000 at ICP in New York. After attending a summer program in black and white printing and processing, Jansen was driven to continue her passion for photography by working in a commercial darkroom printing while cultivating her personal work. Jansen is primarily self taught, driven to craft all her images start to finish, including all aspects of the processing and framing. After working for 8 years as a photographer and printer in a contemporary restoration and portraiture studio, Jansen left to pursue her own personal vision. Jansen’s journey has led her to the wet plate collodion process which continues to be the focus of her work.